How to delete messages you sent to someone on Facebook: You can view and delete the conversations you had with your Facebook friends whenever you wish to. When you send messages to a customer who's on your personal Facebook friends list, or for whom you have an email address, the message will come from your personal account name, not your business page name. 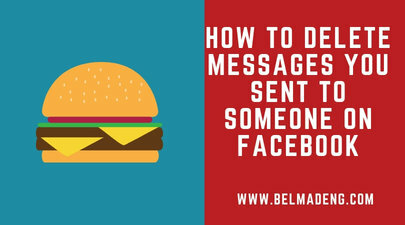 To delete sent messages on Facebook, you'll need to hover your cursor on the sent message and then click on the three-dotted icon before the emoji symbol and a delete button will appear. Are you sure you want to delete this message?" will pop-up. Can I Unsend Messages on Facebook once it has been sent? The answer to this question is NO. Sent messages can't be unsent or removed from the person's inbox. Depending on the persons' notification settings, they may also receive your message as an email notification. Can I retrieve deleted messages on Facebook? No. Deleting a message permanently removes it from your inbox. If you want to hide a message from your inbox, but not delete it, you can archive it.